To the average Kentuckian, the governor’s race has barely even started; but to those familiar with Kentucky politics, the race began long ago. 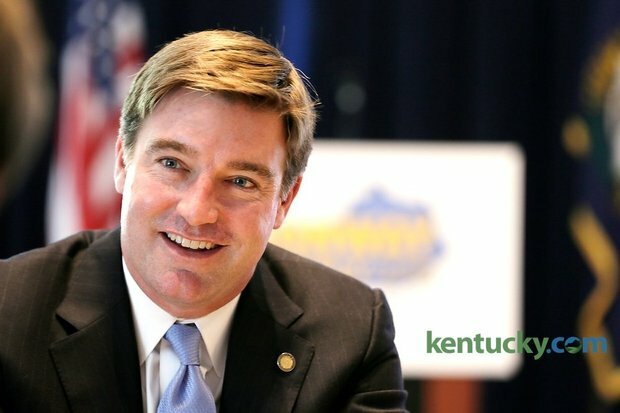 During his time as Kentucky’s Attorney General, some may argue that Jack Conway has been strategically picking his battles in order to position himself politically for the battle for governor in 2015. On the other side of the aisle, Agriculture Commissioner James Comer has been an unstoppable political force ever since he cleaned house in the Department of Agriculture after former secretary Richie Farmer’s chaos. Meanwhile, businessman Hal Heiner has been flooding the media markets with cash long before any other candidate stepped into the arena. Tea Party candidate Matt Bevin is enjoying the name recognition he established in his Senate campaign last year. Several candidates are poised to win this November, and Kentuckians will have the opportunity to watch vicious campaigning from both sides, as this is a remarkably evenly matched field of candidates. Several of these candidates have a great deal of political momentum by any measure, and have spent years meticulously preparing for this campaign; but, unfortunately for them, only one can win. The losers are sure to suffer a blow to their political career, negatively affecting any future prospects of political office. But who will come out on top? Although James Comer is the front-runner on the Republican side, the field is still littered with opposition that he will have to campaign strongly against before he gets a chance to face Conway. The first of these candidates is Matt Bevin, a self-made businessman and expert in finance from Louisville. Matt Bevin suffered a defeat in the 2014 mid-term elections against Mitch McConnell in the Republican Primary. Despite Bevin’s lack of any political position prior to his run for Senate, he was still able to raise an impressive $4,496,251 in contributions, although $1,250,000 was money that came straight from himself (Federal Election Commission). Many people believe it was a mistake to have ever challenged McConnell to begin with, as his donor list is very long and he hadn’t made any particularly negative political blunders in recent times that were ripe to be taken advantage of in 2014. As of now, Bevin could still be using funds from his Senate campaign to finance his run for governor, we can’t know because KREF doesn’t have a finance report on file at this time (Kentucky Registry of Election Finance). Matt Bevin’s strong suit for campaigning is his familiarity with technology. His campaign website could easily be on a Top 10 list for greatest campaign websites of all time. It is clean, modern, and very easy to navigate; making it clear where a visitor can go to contribute. It is expected that he will place a great deal of emphasis on the usage of technology in his primary campaign to reach the voters that he needs to reach, using public records coupled with data processing software to develop short lists of the voters he needs to visit in person and those that he should feel good about soliciting for donations. Bevin is also a financial expert. He has founded and managed several investment firms that are responsible for millions of dollars worth of Americans’ retirement accounts and pension funds. 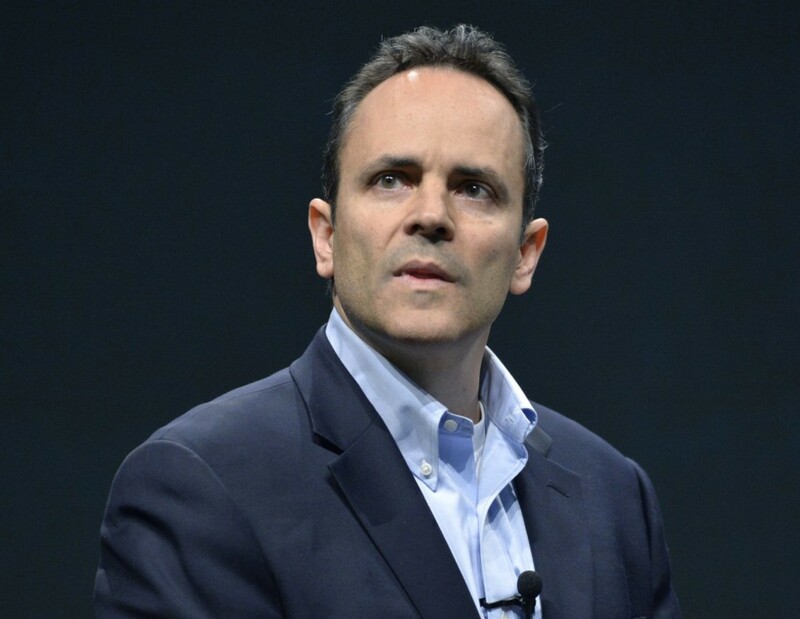 If the Kentucky pension crisis is an issue that dictates who receives the Republican nomination, Bevin stands a chance. Otherwise, Bevin will be afflicted by his “outsider” status that will encourage voters to steer towards Comer that has already had experience in government. Bevin also doesn’t feel as relatable as other candidates. Voters could potentially see him as a businessman first and leader second, counteracting any relatability he has accrued through his persistent broadcasting of his time in the military and time on the farm. His demeanor at the Lincoln Day Dinner on March 7th corroborated this as well. Much of his speech was talk of his involvement in finance and his various businesses that range from the production of medical devices to doorbells. Matt Bevin faces a very tough campaign to secure the Republican nomination. His success is within the realm of possibility if James Comer were to slip-up, but it is unlikely at this time. Another “contender” for the Republican nomination is Will Scott, Pike County native and Vietnam War veteran. He completed his JD in 1974 and practiced law privately in Florida and Kentucky for a majority of his professional life, until he was elected to the Kentucky Supreme Court in 2004; which he served on until 2010 (Kentucky Court of Justice). His decision to enter this race is particularly interesting, as Scott has little to no name recognition outside of Pike County, and he will be competing against some very strong opponents. Scott’s platform is also unique. Perhaps his biggest issue that he is pushing is dissolving the state healthcare exchange that was established under the Affordable Care Act last year, saying, “The only thing we get out of surrendering on ObamaCare is Barack Obama’s appreciation. . . My primary opponents already gave up that fight last summer telling the Chamber of Commerce what they wanted to hear. I got in this race to provide leadership, not to go with the flow. The only thing we are getting out of a state-run ObamaCare exchange is the privilege of paying for it,” (RedState.com). Scott also supports expanded gambling as a last ditch effort to help the ever increasing unfunded pension liabilities of the state, while in nearly the same breath supports reducing the corporate tax income rate; citing an assumed economic expansion as the reason why no one should worry about the tax cuts. Unique for a conservative platform, however, is his strong emphasis on state provided drug addiction rehabilitation programs, and a focus on increasing the efficiency of the state judicial system (Brammer). Perhaps his time behind the bench has lent its hand in promoting an empathy with downtrodden citizens that have drug problems. Will Scott is not widely viewed as a serious contender in this year’s race. In what little polling has been done at this time, he has polled dead last for likely Republican voter’s choice in the primary, and far behind the others at that (Harper Polling). Additionally, Will Scott has yet to either raise any money, or file his finance report, as KREF shows his current funding at $0 for the 2015 primary (Kentucky Registry of Election Finance). 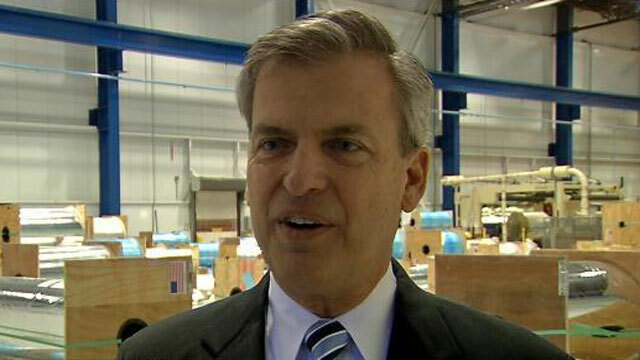 Louisville businessman Hal Heiner has already proved that he will be a serious challenger in this year’s gubernatorial race. Heiner is a lifelong Kentucky resident, and was educated at the University of Louisville where he earned a Masters degree in engineering. He has had a limited political career thus far, serving on the Louisville city council for eight years and chairing various boards like the Kentucky Charter Schools Association and other religious organizations (Hal Heiner for Governor). This is a bold step outside of the conventional progression from state legislator to governor, and this may work to Heiner’s disadvantage. Heiner’s platform focuses almost explicitly on fiscal issues: “Accountability Budgeting, Jobs & Economy, and Fighting Washington Bureaucratic Regulation,” (Hal Heiner for Governor). Heiner’s platform may be the most resonant among Kentucky voters that are looking for a candidate that will correct the fiscal mess past administrations have gotten the state into. The people of Kentucky are becoming more aware of the debt problem as the General Assembly continues to kick the can down the road, refusing to make the necessary cuts or raise the necessary revenue to fund the pension system. This is an issue that Heiner is sure to spend an enormous amount of time on, and an issue that will be a wise time investment for his campaign, as it will produce positive results for Hal in the polls and ultimately, the primary. Despite Heiner’s almost pinpoint accuracy in identifying the issues that will incentivize voters to rally behind him, he has repeatedly shown a great deal of hostility towards the Affordable Care Act and the Medicaid expansion. Heiner seems to ignore that, at the end of 2014, over 520,000 Kentuckians have signed up under the new healthcare law (Modern Healthcare). To constantly assert that he will fight Obamacare will be to alienate a half million Kentuckians that have benefitted from the law, potentially losing thousands of votes. If there is one position that he should re-evaluate, this is it. A campaign message that Hal has, and will continue to milk for all its worth, is that he is an accomplished businessman that has created over 4,000 Kentucky jobs (Hal Heiner for Governor). He cannot be blamed for repeating this either, as it’s a claim very few politicians, even on the national level, can make. His emphasis on job creation and economic problems is something that create positive results for Hal’s campaign; it’s a message that Kentuckians still want to hear and a message that Hal’s track record indicates is a problem he is proficient at addressing. Heiner is by far the most well funded candidate in the race, and has already launched an intense media campaign, flooding most local channels with campaign ads to the tune of $1.1 million in campaign disbursements as of the end of 2014. According to the most recent campaign finance report, he has raised over $4.6 million, eclipsing the combined total of every other candidate in the race that we currently have data for. However, Hal Heiner is a very wealthy individual, and it is important to note that about $3.9 million came from him personally. Despite this, he has raised $700,000 from others, which is an impressive feat nonetheless (Kentucky Registry of Election Finance). This Republican primary will be a good experiment to determine if a lesser-known candidate is able to buy their way to Frankfort. If Heiner wins the primary, it will be for this reason. Lastly, we have Department of Agriculture Commissioner James Comer. Comer is a native of Tompkinsville, Kentucky, and began his political career in 2000 when he was elected to the Kentucky House of Representatives, which he served in until 2012 when he announced that he would run for Agriculture Commissioner. Comers early publicity and popularity stem from his audit of the Department, which lead to the ultimate downfall of his predecessor Richie Farmer who was sentenced to serve twenty-seven months in prison on corruption charges (WKYT). This was a massive win for the Comer camp, and was arguably the political seed that Comer was able to plant in Kentuckians’ minds: he is the one watching out for you in Frankfort, he will prevent wasteful spending, he will protect Kentucky from corrupt officials. Comer also has “good-ole-boy” appeal. He was raised in a farming household and came from humble roots. He is a graduate of Western Kentucky University, where he earned his Bachelors in Agriculture, and has been a lifelong farmer of a multi-thousand acre grain farm (Kentucky Department of Agriculture). More importantly for political purposes however, Comer has always pushed a relatively moderate message; never too extreme to foreclose support from the other side of the aisle. This has been one of his greatest strengths: the ability to appeal to voters from both parties, leading to overwhelming victories in the elections in which he has been on the ballot. However, as the primary draws closer, we do see him radicalizing his platform, e.g. promising to outright ignore the EPA’s new regulations on carbon emissions if he is elected (Comer for Governor). This is what he must do, however, to win the Republican nomination. He will surely push a message more in line with what he has historically pushed after/if he wins the primary. Commissioner Comer’s platform is fairly stereotypical for a conservative candidate. There is a large emphasis on jobs, although this has lost much of its appeal since the economy has since experienced explosive growth over the past two years and pre-recession levels of employment. Interestingly, Comer also focuses on a couple of social issues, maintaining the status-quo with regard to second-amendment rights and also making abortion illegal (Comer for Governor). Second Amendment rights are something nearly every American will support, but his stance on abortion may drive away some of the support he currently gets from liberals. He could arguably do better without making this an issue, but there is the chance that he personally feels that it is worth fighting for. Comer’s platform is centered on his hostility towards wasteful government spending, and reckless decisions made in the past by the General Assembly that have left Kentuckians in a terrible fiscal state. He wants to audit the entire pension system, following his own lead from 2013 in the Department of Agriculture, and expose mismanagement and waste. He also seeks to privatize the management of the fund, which he believes will save money and also produce better results. Comer has also struck a perfect balance on the issue of the Medicaid expansion and the Affordable Care Act. He concedes that he has always opposed the program, but it is too entrenched at this time to remove. Thus, he seeks to discourage enrollment, encourage people to visit a primary care physician instead of the emergency room, and also require re-enrollment in Medicaid every two years. These policy decisions will have a positive impact on the fiscal problems of the state, and they still send a strong message to his supporters that he opposes any socialized form of healthcare (Comer for Governor). In recent polling, Comer has shown promise. In two of the three polls that have been conducted, Comer was in the lead over Heiner, Bevin, and Scott with a comfortable margin; though as time has progressed it seems as though Heiner’s early money has moved the needle his direction. We can expect Comer to regain some lost ground as his media campaign is launched in mid-March. In one of the three hypothetical polls pitting him against Attorney General Conway, he held a 4 point lead. This was the biggest lead any Republican candidate held over Conway in any of the hypotheticals, but his loss in two of the other polls should be cause for worry (Ballotpedia). Comer still has a great deal of campaigning to do if he hopes to defeat Conway in the general election. As for funding, Comer has been undeniably successful in his fundraising thus far, and as of December 31st, 2014, he has raised about $1.1 million for the primary (Kentucky Registry of Election Finance). What makes Comer’s strategy unique, is that he held out spending this money for as long as possible, citing that he wanted to wait until he had enough funding that he could launch a media campaign and never stop until the day of the primary (CN2). Comer presumably has some very talented campaign consultants on his side that have helped him win many races in the past, and we can expect precision campaign finance strategy coming from his corner in the months to come. Recent polling suggests Heiner is pulling ahead, but Comer’s media campaign should bring him back closer to the front of the pack (Ballotpedia). From the Democratic Party, there are two candidates that have declared their candidacy. First is retired engineer Geoff Young of Lexington that suffered defeat in 2014 during the primary for the sixth congressional district seat. Although he is very well educated, a B.S. in economics from M.I.T., a Masters in mechanical engineering, and a Masters in agricultural economics, he has consistently shown that he performs very poorly in elections (Ballotpedia). His campaigns are characterized by a much too progressive platform, and ineffective campaign strategy. Unfortunately for Geoff, thus far he has only been able to raise $3,500 in his pursuit of the Democrat nomination (Kentucky Registry of Election Finance). Young is not going to be a serious contender in the race, as supported in both the Harper and Bluegrass polls conducted over the last few months than have shown Attorney General Conway with a 50 point lead (Ballotpedia). Finally, our last candidate for governor on the Democrat ticket is current Attorney General Jack Conway. Conway has had an overall successful political career this far, with his only recent setback occurring in 2010 when he narrowly lost his run for Senate against Rand Paul. He has thus far spent the majority of his professional life in government, with a brief stint in private practice from 2001-2007, after which he ran his first campaign for Attorney General (VoteSmart). Conway’s strength is his undeniable successes as Attorney General, where he has put countless criminals behind bars, and recovered hundreds of millions of dollars for the state (Conway Overly). He has an arguably spotless record, with no obvious political blunders that could come back to haunt him in this race. His competition may be retaining an ace-in-the-hole for use later on in the campaign, however, just as Conway attempted to do with Rand Paul in 2010. Also working in Conway’s favor is his likability and generally humble attitude. Despite his time working as a lawyer, which has a tendency of removing an individual’s “small-town feel”, Jack has somehow managed to maintain this throughout his career. He still seems easy to talk to, and he still seems easy to relate to, albeit not nearly as much as James Comer. Still, he will have no difficulty making a personal connection to voters. Conway has proven his worth this election, so far having raised $1.3 million in pursuit of the office. Because he has no serious competition in the primary, this will be incredibly advantageous to Conway in that he will be able to save his primary funds for the general election; all the while his Republican opponents will be forced to use their primary funds to compete with each other. In support of this point is this fact that Conway has only currently disbursed $373,000 of his $1,300,000 in funding, likely just outlays to set up his initial organization and pay retainers to consultants (Kentucky Registry of Election Finance). Conway will be able to get by with spending less, and also spending less time fundraising, which means more time with voters. In the current race, Conway’s platform focuses on three main issues: education, attracting businesses, and infrastructure investment. For education, he really doesn’t provide specifics; citing a need for “early childhood education,” and the need to “reduce higher education costs” without ever providing an answer as to how the state could afford more investment in schools. His emphasis on attracting business is also very vague. He does mention “redesigning incentive packages” as a means to lure business, but it’s hard to imagine that meaning anything other than lowering the corporate tax rate, which his base would not be particularly fond of. His inclusion of a focus on business as one of his three primary campaign issues also feels like it’s only there to possibly steal voters from the right, who are more likely to focus on fiscal rather than social issues. Lastly, Conway emphasizes the need for infrastructure improvement. He claims we will build “new roads and bridges,” but in this claim is a serious problem (Conway Overly). Conway seems to overlook the fact that Kentucky has a massive pension and debt crisis, with $17.6B in unfunded pension liabilities (The Courier-Journal). Kentucky’s debt continues to grow at an alarming rate, and Kentuckians are waking up to our severe problem. This may cause voters to think twice before blindly jumping behind Conway’s potentially empty promises. These claims will have to be backed up with new sources of revenue, or a mass overhaul of the current funding system to sell this platform to fiscally conscious voters. Polling shows a clear victory for Conway in the primary (Ballotpedia). One major consideration to the 2015 governor’s race is how popular the independent candidate eventually becomes. At the time of writing, Drew Curtis of Versailles is the only independent candidate to have declared his candidacy. Abrasive in nature, Curtis is a feisty candidate; confrontational and not scared of a fight with the establishment from either side. Speaking in an interview in mid-January, he says one of the major reasons he is running for governor is “this sinking feeling that nobody is doing their damn jobs at the political level,” (Nichols). Curtis’s entrepreneurial success is traceable back to his creation of Fark.com, a news aggregation website that was one of the most popular places to visit on the Internet in the late 90’s and early 2000’s. He still maintains total ownership, although Fark’s popularity has lost most of its market-share to other online news sources. As for his campaign funding, there is a good indication that Curtis is independently wealthy, but as of now he has not filed his finance report with KREF (Kentucky Registry of Election Finance). Foundational to Curtis’s platform is his hostility towards politicians and political parties in general. From his campaign website, “This is our chance. But it takes everyone’s help to make it happen. We are standing up against career politicians, political parties, special interests, and every group that thinks they deserve more influence than you,” (Drew Curtis for Governor). His campaign seeks to capture votes stemming from anger at the status quo, and dissatisfaction with the political gridlock that has plagued the country over the last four years. Curtis also makes mention of the net-neutrality issue, one that is important to many Democrats, pulling more of them in his direction. Drew Curtis will have an impact on the gubernatorial race, as independents almost always do. Independent candidates serve as a catchall for anyone who does not prefer either of the candidates from the Republican or Democratic parties, and though independents rarely win, this effect has the potential of changing the outcome of the election. This is very relevant in the case of Drew Curtis, as his platform seems to aim more towards the liberal left than the conservative right. If Curtis doesn’t campaign on more conservative issues in the upcoming months, there is a strong possibility that he will split the Democratic vote much more so than the Republican. Given that the margin we see in current polls is otherwise slim between Conway and the eventual Republican candidate, Curtis’s presence alone could change the outcome and give the Republicans Kentucky. Those familiar with Kentucky politics know that there is a tendency for Kentuckians to elect a Democrat governor, despite the partisan composition of any other branch of Kentucky government and Kentucky’s federal delegation; Kentucky has had only two Republican governors in the last sixty-eight years (National Governors Association). However, there is the theory that this general partisan shift towards the GOP will reach a critical mass again, leading Kentuckians to elect another Republican governor. Ernie Fletcher could be viewed as the early signs of this, and for all we know the conservative movement could have taken hold with Fletcher if he hadn’t been so embroiled in scandal for the latter half of his term. What hypothetical polling we do have at this time for the general election shows Conway, on average, winning against every Republican candidate (Ballotpedia). There is still the better part of a year before voters will make that decision, which will also work in favor of Conway’s organization because he does not have to spend any money on the primary. Another very important consideration is that a massive piece of the electorate is still undecided. Anything could happen between now and then, and it is important that Conway doesn’t get complacent in his lead. Although all the signs are pointing at a Democrat victory, his competition is incredibly tough and in at least one case much more funded than he is. Let’s continue to keep our eyes on this governor’s race, as it is sure to be exciting in the months to come. Ballotpedia. Geoff Young. February 2015. 10 March 2015 <http://ballotpedia.org/Geoff_Young&gt;. —. Jack Conway. March 2015. 15 March 2015 <http://ballotpedia.org/Jack_Conway&gt;. —. James Comer Jr. March 2015. 15 March 2015 <http://ballotpedia.org/James_Comer,_Jr.&gt;. Brammer, Jack. Former Kentucky Supreme Court Justice Will T. Scott enters GOP primary for governor. 13 January 2015. 9 March 2015 <http://www.kentucky.com/2015/01/13/3639253_former-kentucky-supreme-court.htmlpy&gt;. CN2. Comer Feels Good Heading into Final Months of GOP Primary Campaign. 5 March 2015. 15 March 2015 <http://mycn2.com/politics/comer-feels-good-heading-into-final-months-of-gop-primary-campaign&gt;. Comer for Governor. Comer Will Ignore EPA Carbon Emission Rules. 11 March 2015. 12 March 2015 <http://jamescomer.com/2015/03/comer-will-ignore-epa-carbon-emission-rules/&gt;. —. Government Spending. January 2015. 12 March 2015 <http://jamescomer.com/issues/government-spending/&gt;. —. Pro-Life. January 2015. 12 March 2015 <http://jamescomer.com/issues/pro-life/&gt;. Conway Overly. Conway Overly KY Media. 7 March 2015. 10 March 2015 <https://conwayoverly.com/media/&gt;. Federal Election Commission. Details for Committee ID : C00547547. 31 December 2014. 9 March 2015 <http://fec.gov/fecviewer/CandidateCommitteeDetail.do&gt;. Hal Heiner for Governor. Our Campaign. 2014. 11 March 2015 <http://www.halheiner.com/our-campaign&gt;. Harper Polling. RunSwitch/Harper Polling Kentucky Governor Election Poll. 31 January 2015. 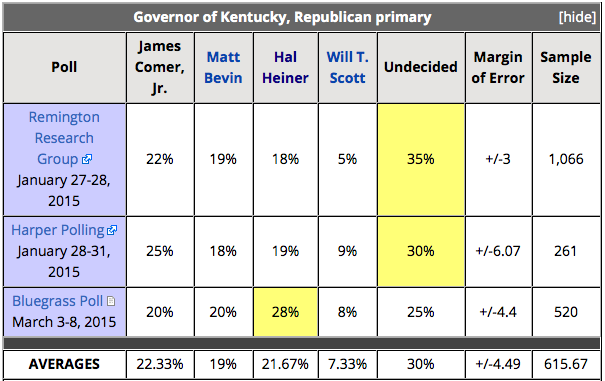 9 March 2015 <http://harperpolling.com/polls/kentucky-governor-poll&gt;. Kentucky Court of Justice. Supreme Court Justices – Justice Will T. Scott. 15 August 2011. 9 March 2015 <http://courts.ky.gov/supremecourt/justices/scott.htm&gt;. Kentucky Department of Agriculture. Office of the Commissioner. 10 March 2015. 12 March 2015 <http://www.kyagr.com/commissioner/&gt;. Kentucky Registry of Election Finance. Finance Statement. March 2015. 13 March 2015 <http://www.kref.state.ky.us/krefsearch/&gt;. Modern Healthcare. Kentucky Gov. Beshear on why Obamacare will become like Medicare. 2014 October 2014. 11 March 2015 <http://www.modernhealthcare.com/article/20141029/MAGAZINE/310289962&gt;. National Governors Association. Governors. 2011. 15 March 2015 <http://www.nga.org/cms/governors&gt;. RedState.com. Only One Kentucky Candidate to Reverse Obamacare. 1 January 2015. 9 March 2015 <http://www.redstate.com/diary/davidadamsinky/2015/01/30/one-kentucky-candidate-reverse-obamacare/&gt;. The Courier-Journal. Pension Crisis Demands Action. 2 June 2014. 10 March 2015 <http://www.courier-journal.com/story/opinion/editorials/2014/06/02/pension-crisis-demands-action/9881045/&gt;. VoteSmart. Jack Conway’s Biography. November 2011. 10 March 2015 <http://votesmart.org/candidate/biography/35236/jack-conway#.VP-wCGYp8pE&gt;. WKYT. 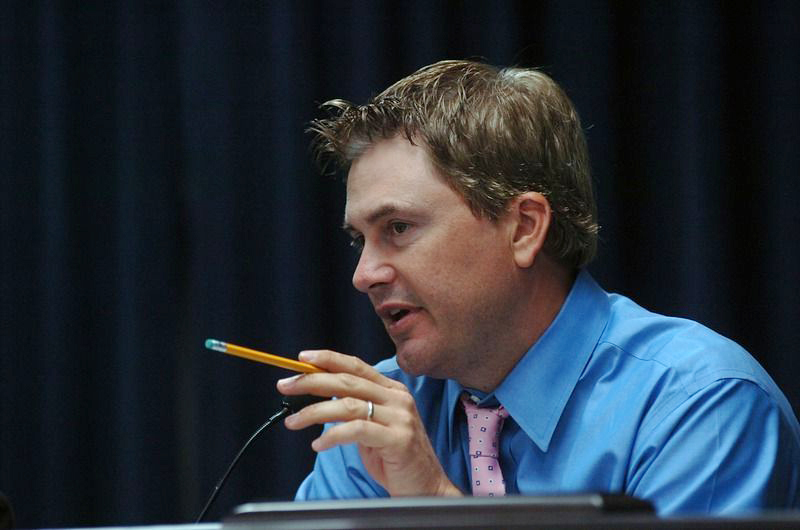 Comer navigates Richie Farmer backlash. 8 September 2014. <http://www.wkyt.com/home/headlines/Comer-navigates-Richie-Farmer-backlash-274383071.html&gt;.